On the reverse side of the number: No. 72. Electronic reproduction of the open letter: Massandrovsky wine cellar [Izomaterial ]. Yalta: the publication of Dimitri Nikolić, [between 1904 and 1914]. 1 card: phototype. 11961. Location: Children's Memorial Museum, St. Petersburg. I. Presidential Library. B. N. Yeltsin (St. Petersburg) .1. 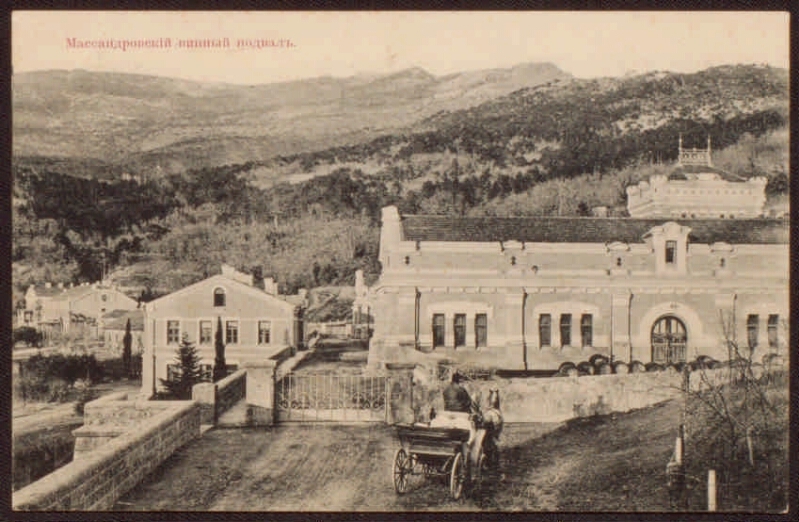 "Massandra", national production-agrarian association (Crimea) - Postcards. 2. Postcards in the Presidential Library fund (collection). 3. Territory (collection). 4. The Republic of Crimea: pages of history (collection). 5. 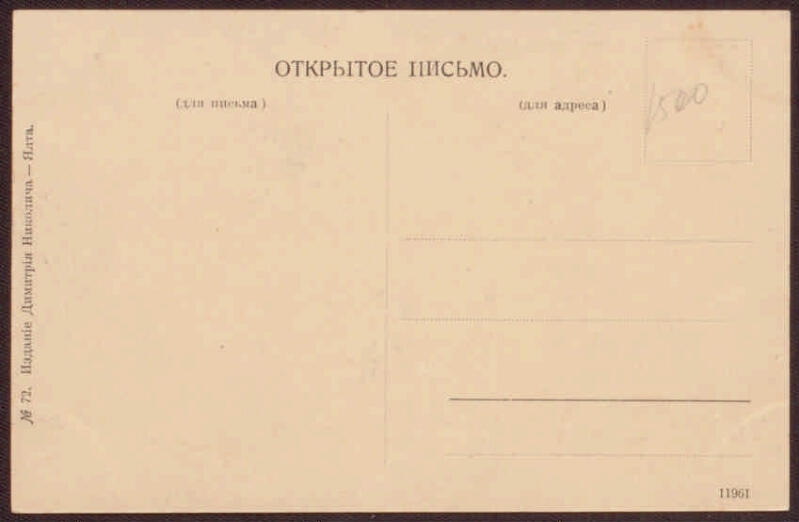 Territory of Russia: Crimea, Republic (collection). 6. Documentary cards - Russia - 1904-1909. 7. Documentary cards - Russia - 1909-1917.